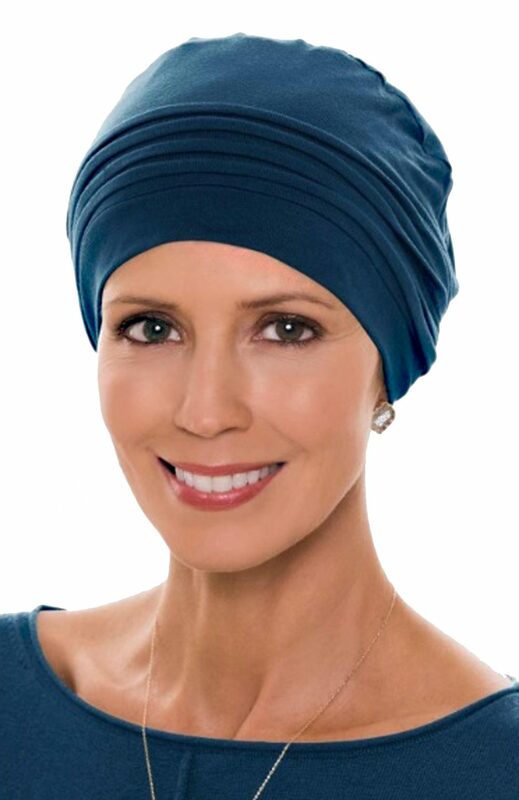 This super soft luxurious hat features fine detailed pleating in the front to add fullness. 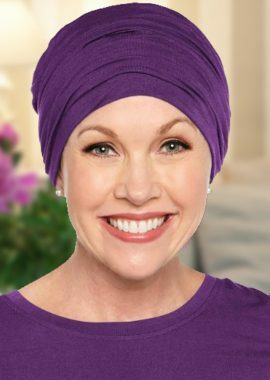 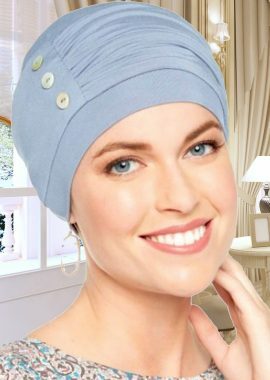 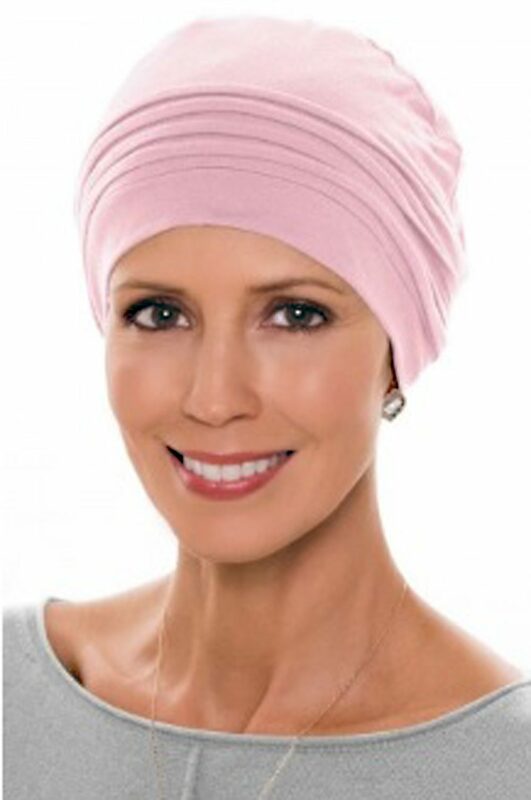 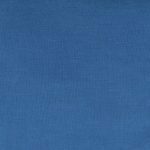 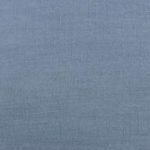 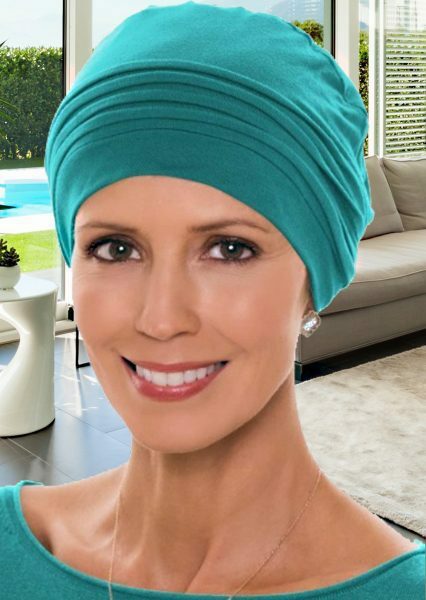 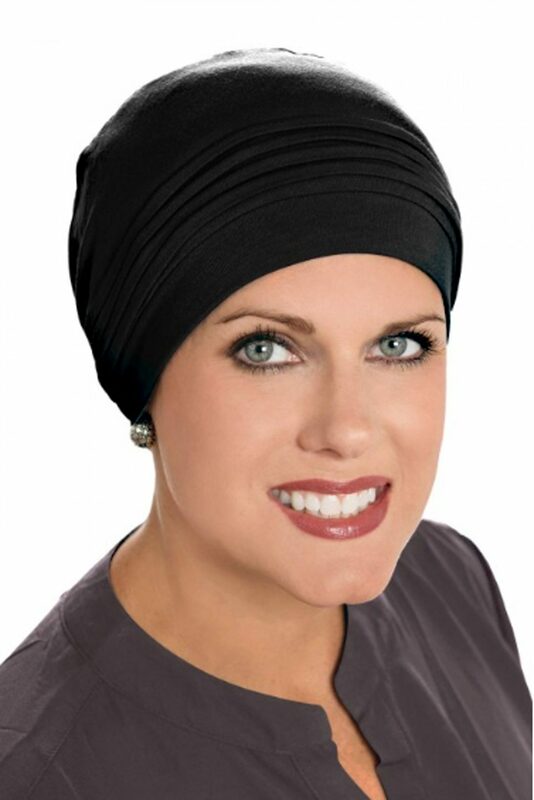 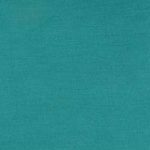 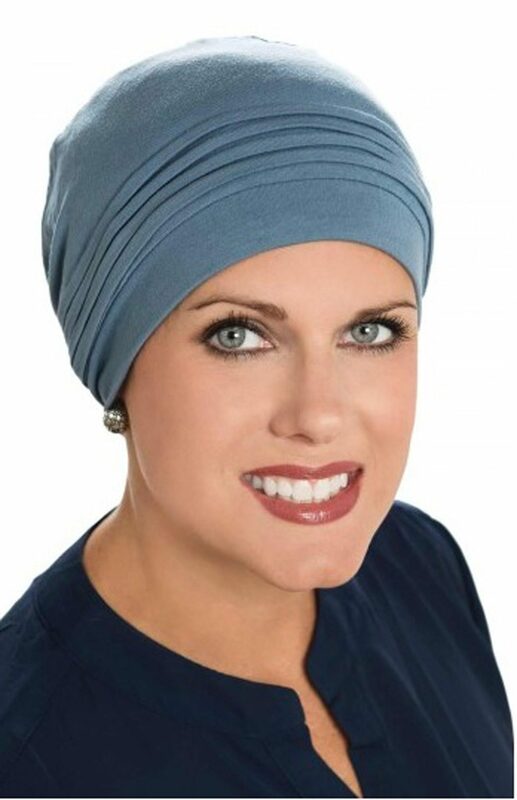 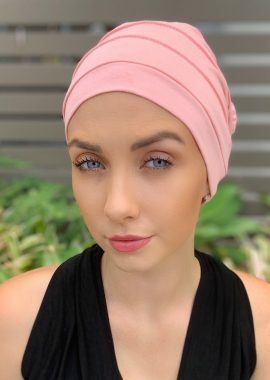 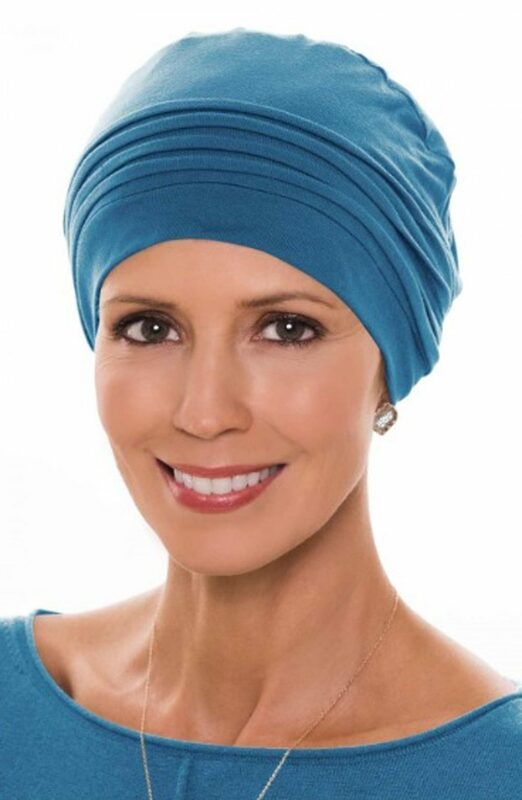 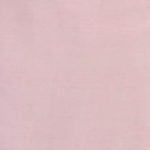 With no annoying tags, this fully lined & nearly seamless cap is perfect for women with hair loss. 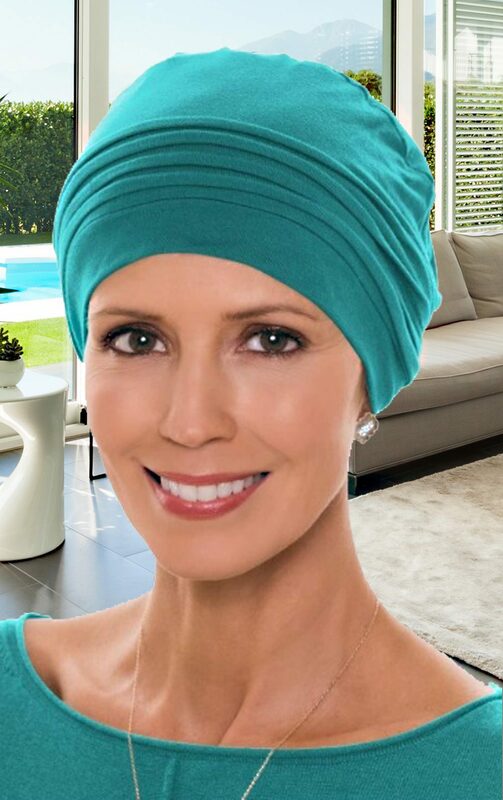 Made from comfortable bamboo the couture cap is soft to touch and will keep you cool in summer and warm in winter. 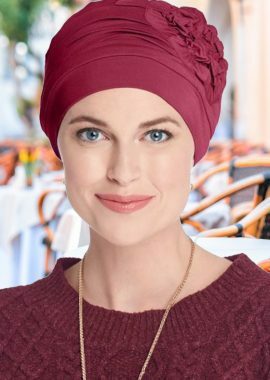 It can be worn alone, or teamed with scarves or headbands to vary the look.